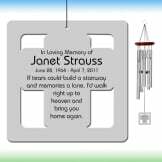 A beautiful memorial cross silhouette wind chime. 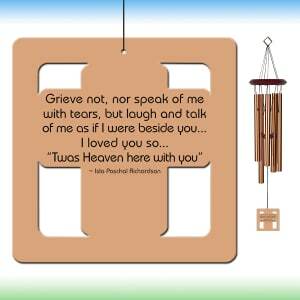 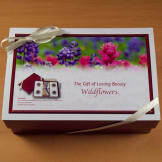 Our memorial wind chimes are the perfect sympathy gift to comfort someone at their time of loss. With the inscription engraved on both sides, our memorial wind chimes will respectfully remind the recipient of their lost love done for years to come.